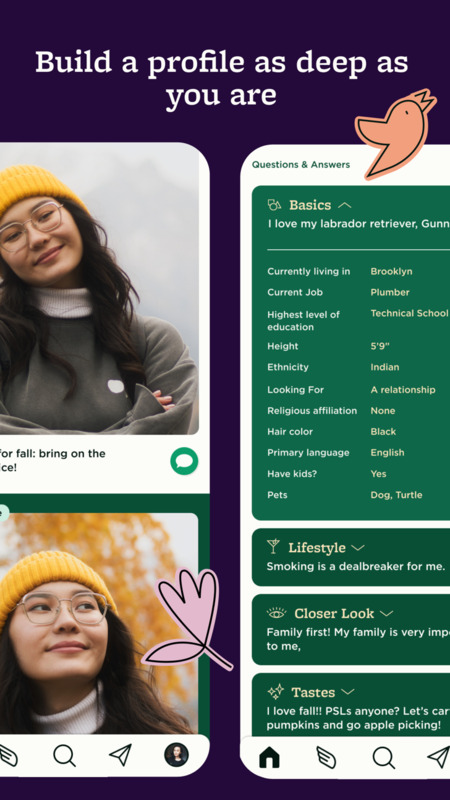 Sweet Pea is a conversation-first dating app that makes it easy to connect with people worth meeting that leads to real-life chemistry. Unique ways to express who you are and learn about others is the catalyst for a good chat and getting to know someone. If you are thoughtful, discerning, and truly interested in creating a positive experience in the process of meeting the right person, Sweet Pea is for you. Isn’t it time to start a different kind of conversation? • Q&A’s make it easy to create a great profile that shows the real you and makes makes getting to know people easy. • Have fun telling your story, your way with Video Stories, Photos & “My Life in One GIF”. • Icebreaker Questions help the conversation get started. • Match and Discover settings give you the freedom to be in control of your dating experience. • Find people through zodiac signs, common interests, activities, and locations. 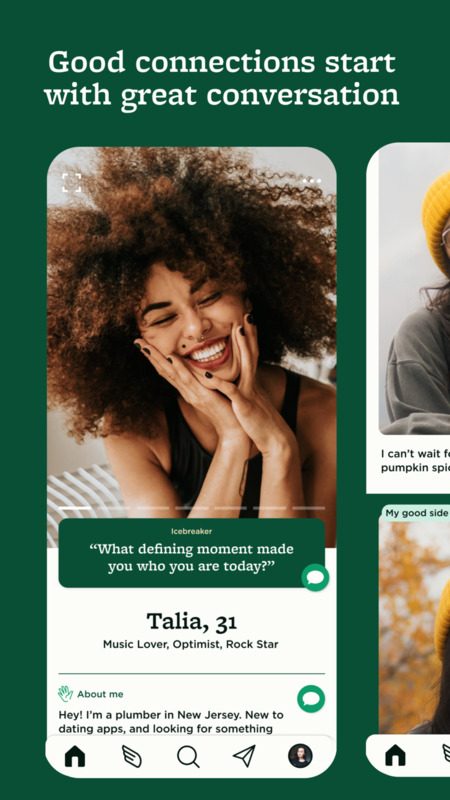 • With more safety features than most dating apps, ensure that Sweet Pea remains a welcoming, inclusive, and safe community. • Sweet Pea is ad-free. • Your data is always protected. We believe and respect that dating is personal, and unlike other dating apps, we do not sell your data. • 15 FREE matches per day or get unlimited matches with VIPea. • 1 month subscriptions start at $7.00 / mo. • 3 month subscriptions start at $5.00 / mo. • 6 month subscriptions start at $3.00/ mo. Be a part of an inclusive social space - a place for you to find incredible people worth meeting. By becoming a VIPea you authorize Peas and Love Corporation to charge any fees due for the Service to your iTunes Account upon confirmation of your purchase. Your account will be charged for renewal within 24-hours prior to the end of the current 1, 3, or 6 month terms. The auto-renewal feature may be turned off by going to your iTunes Account Settings after purchase and selecting the applicable function to deactivate the auto-renewal feature. You understand and agree that cancellation of the current subscription is not permitted during the active subscription period. Improved UX swipe right to invite someone to start a conversation, tap the green icebreaker icon to send them a message. Bigger photos on the home screen and a smoother navigation experience. Introducing the message response rate feature know when to shoot your shot. And lots of other bug fixes. Bigger and better releases coming soon! As always, we'd love to hear your feedback. Email support@sweetpea.co anytime.